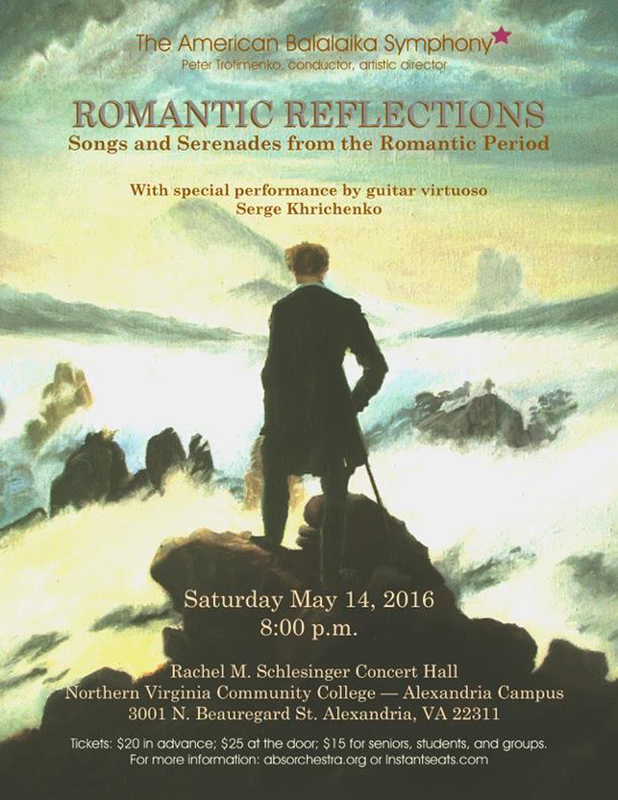 American Balalaika Symphony in Washington, D.C. The American Balalaika Symphony (ABS) is a full symphony orchestra comprised of an internationally diverse mix of 50-plus musicians from the Washington, D.C. metropolitan area. Currently, ABS is a resident orchestra of Rachel M. Schlesinger Concert Hall and Arts Center in Alexandria, VA.
Each concert season, ABS performs a stunning range of music from beloved Russian folk melodies to classical favorites to rarely heard symphonic masterpieces, often with prominent virtuoso soloists from around the world. Unlike a traditional symphony orchestra, ABS fans enjoy the distinctive shimmering sound of a balalaika orchestra, which uses Russian plucked string instruments such as the balalaika and domra rather than bowed instruments such as the violin and cello, and the artistry of rapid tremolo playing that makes these instruments so unique. Today there are fewer than seven balalaika orchestras in the United States. Unlike most of the others, ABS rounds out its balalaika ensemble with full wind and percussion sections and unusual additions, such as the bayan (Russian button accordion), gusli (Russian table harp), and cimbalom (similar to a hammered dulcimer). By combining the rich traditions of the Russian Music School with the best of European and American music, founder, artistic director, and conductor Peter Trofimenko has created a truly unique American orchestra that, with each concert, produces a rare and wonderful experience for lovers of great classical music. Tickets $20 maybe charged through Instant Seats.